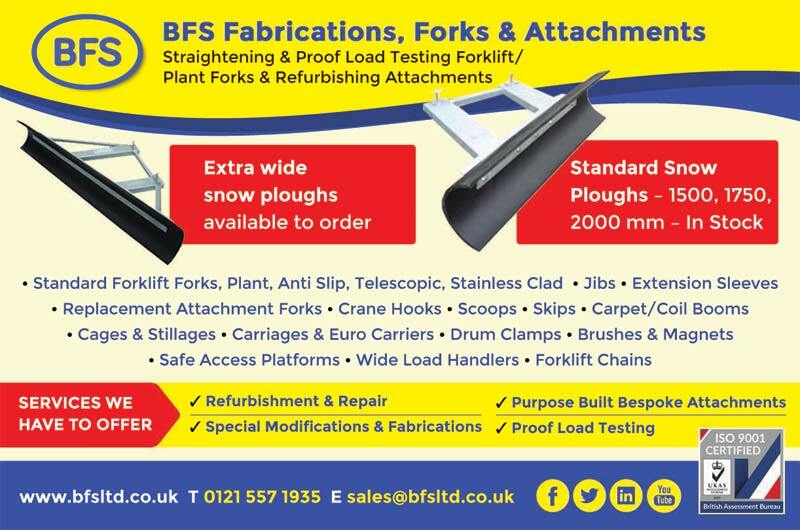 BFS are steel fabricators specialising in forklift, plant and agricultural machinery fabrications. Your enquiry, large or small, is very important to us, because every one of our products and services started as a “one off” enquiry. We collect and deliver nationwide and export products worldwide. FROM £354 !! Only While Current Stocks Last !! “one offs” or production runs, our services and repairs include: Design, Manufacture, Modification, Repair and Testing of for example: Forks, Guards, Pallet Trucks, Masts, Carriages, Attachments, General Fabrications. Straightening is our speciality, up to 750 tons! BFS can offer straightening services up to 750 tons from our own engineering base in Oldbury. All sizes for all makes. 1,000's of common sizes in stock. Specials made to order. “Built to Last” - many companies have 20+ year old BFS attachments still in operation. Working together, designs evolve combining our customers' knowledge with our many years of experience. All work is carried out in accordance with current European Standards, legislation and Directives. Relevant certificates, Operating instructions and declarations are issued.